There are two things I love most in this world: Halloween (hello fall and free candy!) and chubby babies. So, put them together and what do you get? 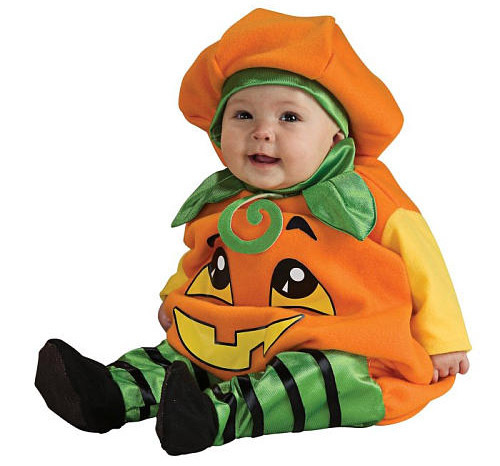 This collection of perfect Halloween costumes for that special chubby baby in your life. 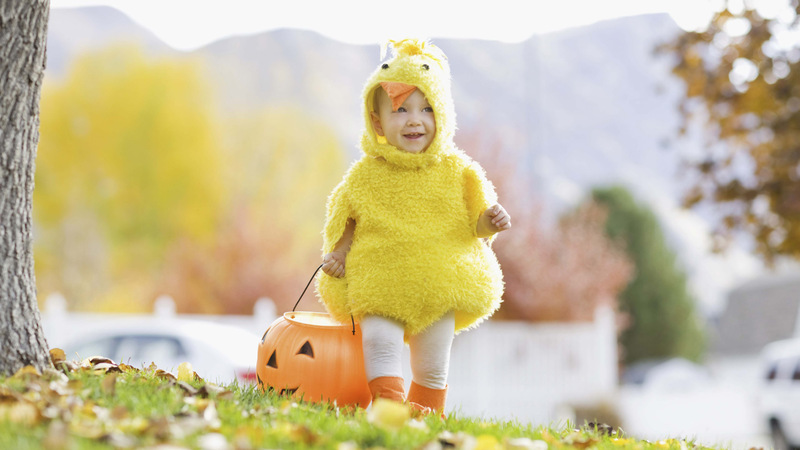 Put that baby to work this Halloween by working up a sweat in this adorable DIY costume — and roll, baby, roll! 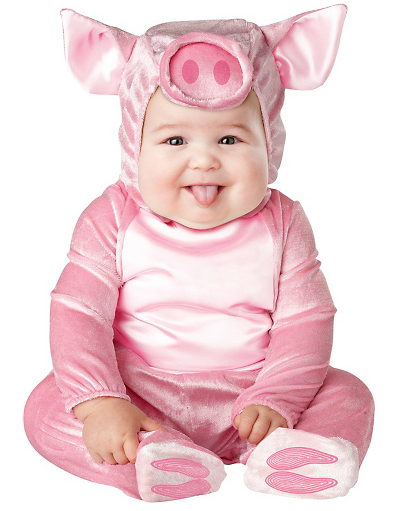 I affectionately call my little one a Little Miss Piggy, which is why, come Halloween, I'm thinking this would be the perfect costume for her and all of her adorable little rolls (Party City, $30). OK, sorry, but I couldn't resist. 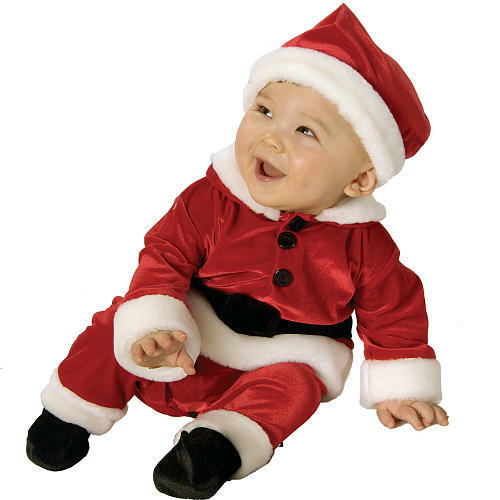 Chubby babies and Santa alike can shake like a bowl full of jelly in this seasonal suit (Toys R Us, $30). 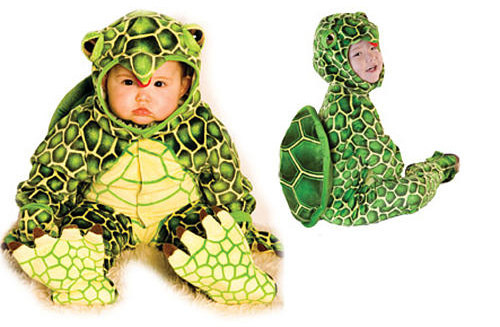 We all know that Teenage Mutant Ninja Turtles are a hit with the tween crowd, but I happen to think that an adorably chubby baby would make the world's cutest turtle. 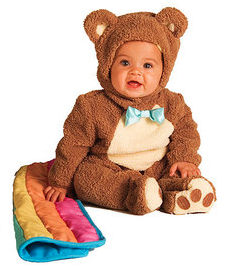 I mean, look how happy this baby looks to be stuffed in that costume (Toys R Us, $30). 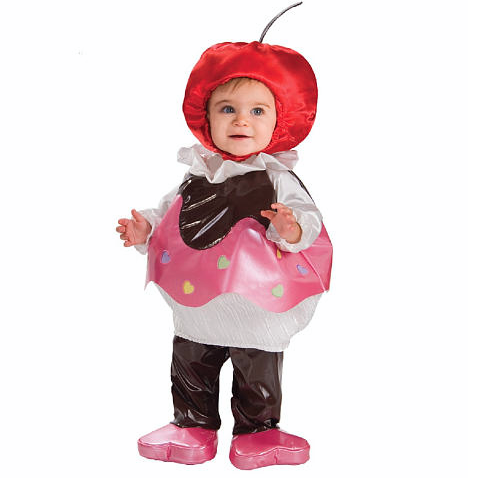 We all know cupcakes can make the unfortunate adult a little on the chubby side, but on a baby? Nothing but cuteness! 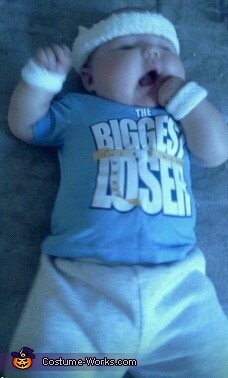 Couldn't you just eat some chubby baby cheeks up in this? (Toys R Us, $30). I mean, this one is kind of a classic, right? 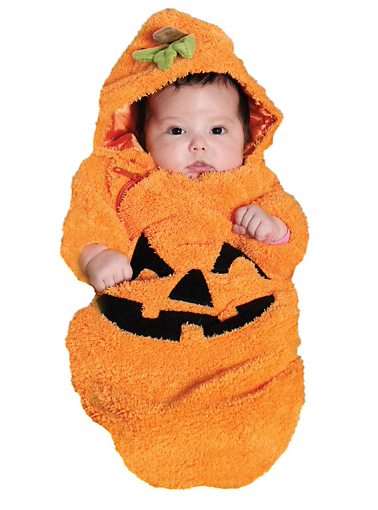 Personally, I have dressed all of my babies up as pumpkins for Halloween at one time or another — and this version is perfect for newborns too (Party City, $20). Speaking of perfect for newborns, the pea-in-a-pod is a great choice to keep your chubby baby warm and festive. 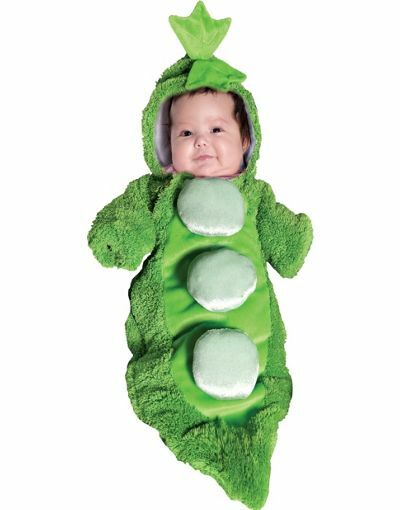 Talk about a sweet pea (Party City, $17). And if your lil' pumpkin is more of a bigger pumpkin, I love this option — the hat alone makes it all worth it (Toys R Us, $27). 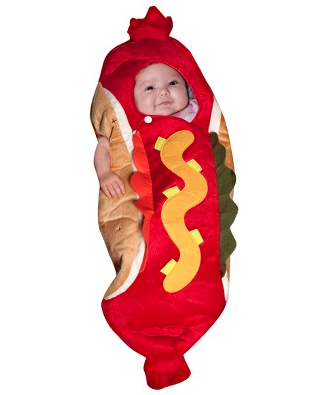 It's probably cruel to dress up your precious baby as a processed frankfurter, but it's also kind of ridiculously cute (Target, $28). Host a Halloween party with lots of tricks and treats!